Let’s start from the top! 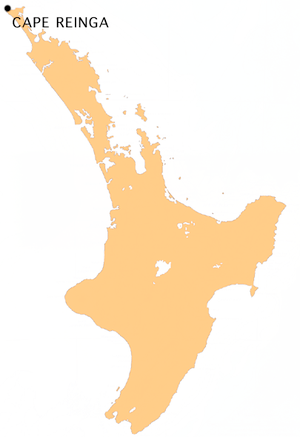 At the top of New Zealand is a place where two worlds collide. 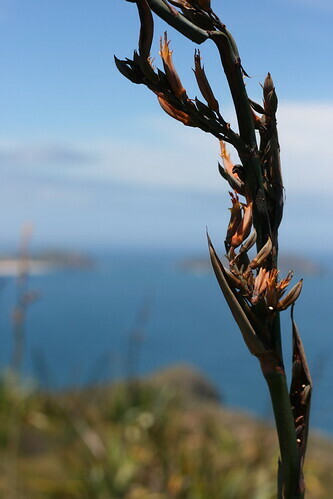 According to Maori legend, Cape Reinga —Te Reinga in Maori – is where spirits of the recently deceased make the return journey to Hawaiiki, the traditional Maori homeland. New Zealand flax plants line the walkways and frame thousands of photos taken by the 120,000 visitors who flock here every year. They are drawn by the spiritual importance of the area and also the undeniable beauty. The Cape’s white lighthouse overlooks long stretches of dunes and series of waves crashing onto the yellow beaches. On calm days a single white line zigzags through the blue waters beyond the lighthouse. 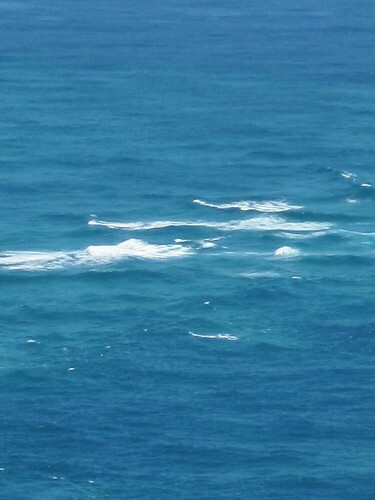 This line marks the meeting place of the Tasman Sea and the Pacific Ocean. To get to the Cape you can either drive up from Paihia on your own or you can hop aboard a bus tour from the same town. The drive is long and the Cape’s lack of accommodation forces visitors to make the trip up and down the Aupouri Peninsula in one day, an unappealing prospect for most drivers. It’s a tour bus operator’s dream. 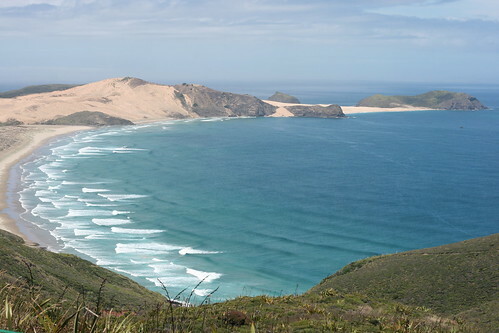 But the ugliness of Cape Reinga, the bus-sized parking lot and its constant rumble of engines, is also what makes the area a remarkable tourist destination. 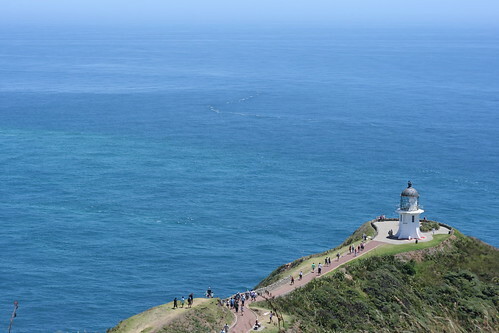 Because despite the hoards of people there are no fast food chains or stores at Cape Reinga. In fact, aside from toilets and a drinking fountain, there is nothing to oblige tourists, nothing to suggest that it might be a remarkable sight at all. FAB! Can’t wait for more, more, more. Thanks for taking the time to put this show on for us. I’m so pleased your interview is over (so you can start blogging again, just kidding). As usual you capture so much in words. I can’t wait to read more. Great job and great pictures. You should look into writing for travel magazines.